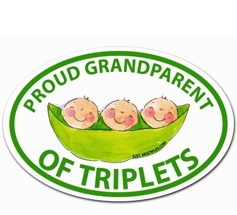 Proud Grandparent of TRIPLETS car magnet. The perfect gift for a proud grandparent of triplets! • Size - 5.75" X 4"
• Not too small, not too large!